You might have a number of different goals when it comes to your email marketing. What is the one thing that proves you are building a connection with your audience? Something that will really cause an increased response to emails you send? Is it one-time buyers who grab your goods and don’t come back for more? Probably not. Though this might be a nice boost to your revenue every now and again, you want to work on building a community around your brand. One-time buyers are nice, sure, but they aren’t the ones who will promote your business from the rooftops and share your product with their family and friends(without you even having to ask!). What’s more, a recent study found that 80% of purchases are made between the 5th-12th contact with a business. Want a surefire way to know you are building relationships with these important people? Have conversations with your subscribers. You want them to feel like they can reach out to you and share their story, ask a question, or simply let you know that they enjoy your emails. Basically, you want responses to your emails. This shows that your recipients are engaging with the content you’re sending and are connecting with it on a personal level. Why? Because email is such a personal part of life. 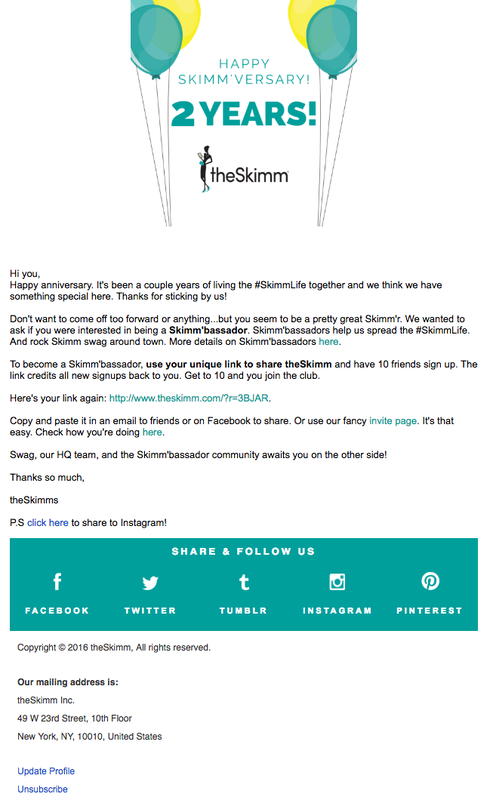 We rarely let any old person into our inbox, and we will very rarely reply to what is now considered a marketing email. So let’s dig in. How can you double your response rate and build connections with your recipients? People like things to flow well. We’re used to seeing beginnings, middles, and ends in the movies, and we like to know where we’re at in a process. This means that bombarding your email list with several one-off emails that aren’t connected in any way at all might leave them feeling confused and out of the loop. Instead, you want your emails to be cohesive; for the previous broadcast to flow effortlessly into the next one, and this means you need a campaign or, to put it more simply, a strategy. 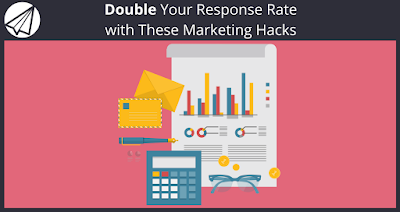 Rather than shooting off an email when you feel like it, or when you’ve got a sale on, you want to continuously be nurturing your list with regular emails in a series that has a beginning, a middle, and an end. In a report run by ANNUITAS, businesses that used marketing automation (or a connected email campaign) experienced a 451% increase in qualified leads. 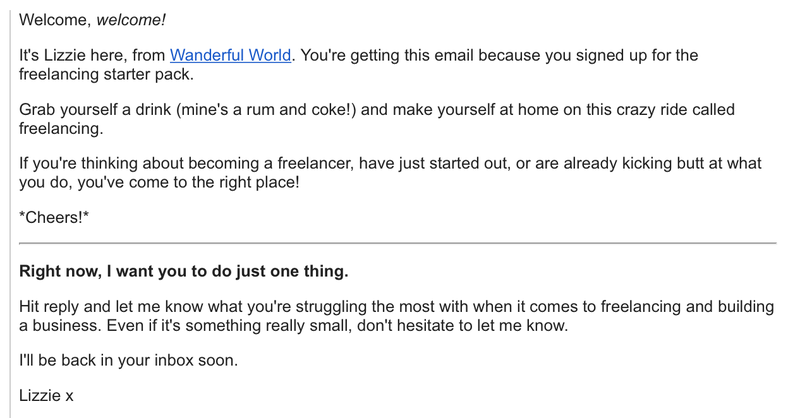 So, for example, you could set up a 5-email sequence using Sendlane’s auto-responder feature when someone signs up. In the first email, you’ll want to introduce who you are and what you’ll be emailing them about, before sharing a brief sentence about what they can expect next from you. As the sequence moves along, you want to unravel some of your list’s frustrations, ask them questions to get their creative juices flowing, and really show that you’re there in their inbox specifically to help them. 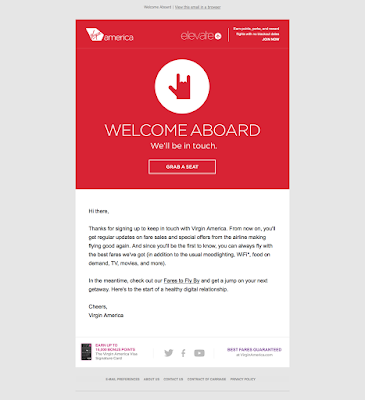 Sending regular emails in a campaign-style also gets your list used to you popping by your inbox. When someone pops up consistently, we’re more likely to feel a connection with them and, therefore, are more likely to hit reply on an email. Which brings me swiftly to my next point. 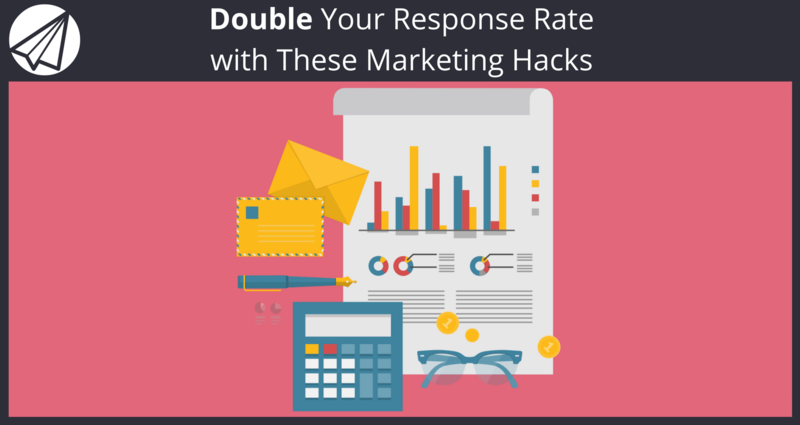 The main reason you’re not getting responses to your emails? It’s simply because you’re not asking. You can’t expect a recipient to hit reply if they don’t know that’s what you want them to do. By adding a single sentence at the end of an email, something like, “Hit reply and let me know what your biggest struggle with X is,” you’re letting them know how you want them to proceed. 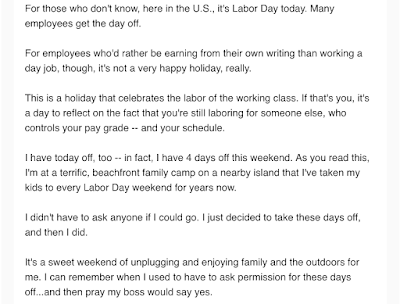 An example of an email that encourages recipients to hit reply. Someone may feel like responding to an email, but they might think you’re too busy or that you don’t want their email in your inbox. As soon as you say you do? Expect the emails to come flooding in. Humans make connections with other humans, not machines or robots, and this should be reflected in your emails. If you want to get responses, you need to open up a conversation which creates a two-way dialogue – you know, something us humans do every single day. This could be something as simple as referring to yourself as being in their situation before “I know how you feel… I’ve been there myself,” or by using casual language that’s jargon free. Just like us humans like things to flow well, we also love a good story that we can relate to. The best emails start with an anecdote or the beginning of a story that instantly makes the recipient nod along or feel at ease. We’re used to hearing stories, and we are openly willing to get lost in them (think about how many people escape through novels every day!). 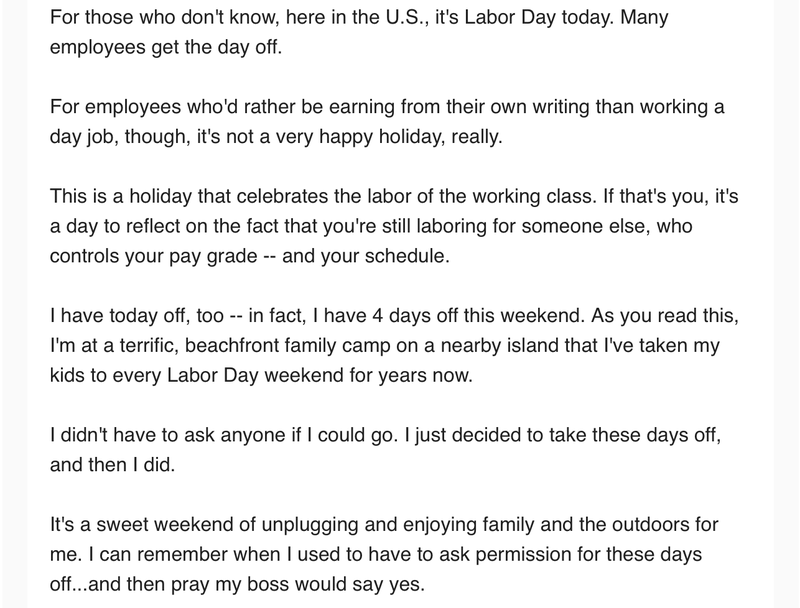 Starting your email with something that happened to you last weekend and relating it to the topic of your email goes a long way in sparking that connection between you and your recipient, especially if it’s something they’ve experienced before. According to a report by the Aberdeen Group, personalized emails improve conversion rates by 10%. Not a shabby number at all. When someone uses our first name, we instantly feel more connected to them. It’s a fact of life. So why would you ignore this major thing when sending your emails? Not only can you insert the recipient’s name at the start of the email (“Hi Jane”) using Sendlane’s automatic naming feature, but you can drop it throughout the email, too. It’s like you’re speaking directly to the recipient, strengthening that connection. It also feels like you’re in a personal email thread with them, which is much more likely to make them hit that reply button. 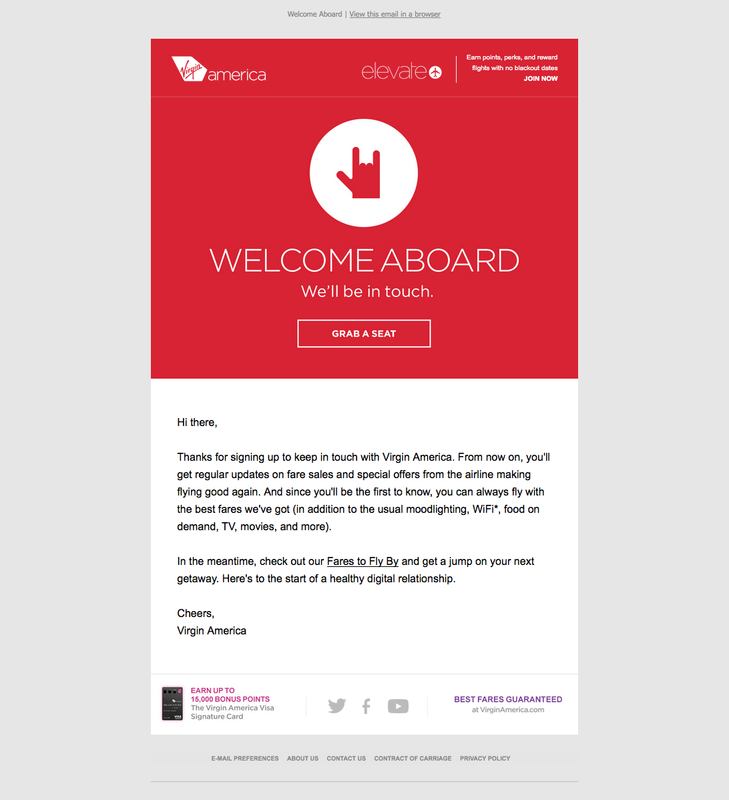 Emails are another form of copywriting, where there are language techniques you can use to create connections and build trust between you and your list. For today, we’ll focus on using the word “you”, which shows you’re speaking straight at your recipient. By utilizing the word “you” rather than offering a more generic pronoun, you’re including them in the conversation – they feel like a part of something and are, therefore, more likely to get involved. 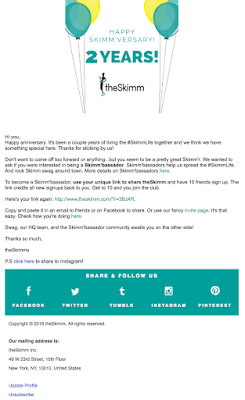 An example of an email from Skimm, where they include the recipient. Too many businesses make the mistake of making their emails all about them. They broadcast their latest sales, their latest updates, and focus solely on what makes them so great. Guess what? 95% of the time, your list won’t care about this stuff. What they do care about is how you can help them solve their biggest struggles. This means you need to tap into their pain points and offer a solution. This instantly makes them feel like you “get” them and you know exactly what they want – which you do, right? When we feel like someone understands us and our needs, we instantly feel more connected to them. Which, you’ve got it, means they’re much more likely to open up a dialogue with you. 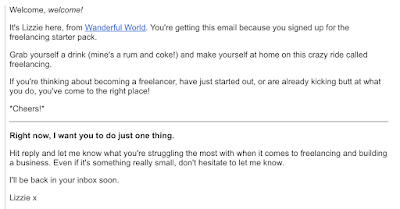 Getting responses to your emails isn’t as hard as you might think. Instead, you simply need to employ a number of tactics that build a connection between you and your list and open up a conversation between you. But you will also need a great email software to help you set up all of your autoresponders. Luckily for you Sendlane™ is currently offering a free trial of our email marketing software! If you try out Sendlane™ and keep your emails personal, human, and helpful, and you’ll see an increase in your response rates in no time at all. We appreciate you checking out our new posts here every Monday and Friday! If you found this post helpful, chances are your friends will too. Please help us spread the word by liking and sharing this post on Facebook, Twitter, and Social Networks using the buttons at the bottom of this post. We appreciate it.